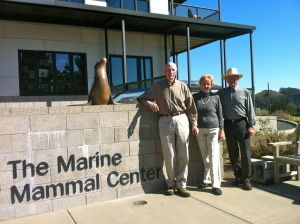 Lloyd Smalley, Paul Maxwell and Patricia Arrigoni were the three founders of The Marine Mammal Center in 1973, 1974 and 1975. 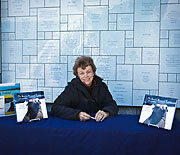 Some thirty-five years later, in 2009, when the Center dedicated a new thirty-three million dollar facility, all three founders were asked to speak to the large group who had come to celebrate the opening. In preparation for this, Arrigoni started searching through old archival papers and decided to put together a scrapbook. This project morphed into a book of three hundred pages, plus one hundred and eighty images including photographs and documents, and a complete index. 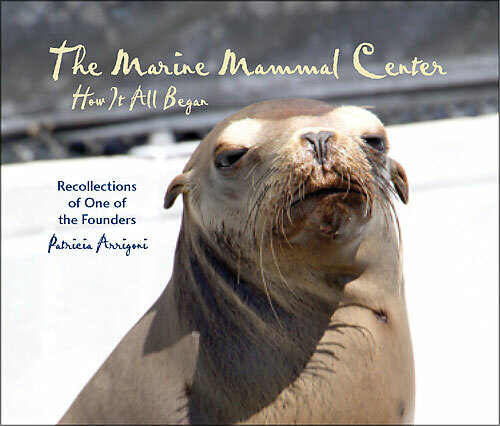 Paul Maxwell added a chapter giving information on his background, the rescue of marine mammals and how he thinks it all led up to the facility that is there today. It was his idea to locate what the three founders called the “California Marine Mammal Center” on the old Nike Missile site at Fort Cronkhite in the Marin Headlands. This location is in Northern California, just north or San Francisco above the Golden Gate Bridge. The current Executive Director, Dr. Jeff Boehm, has written the Foreword, and it was at his suggestion that a chapter be added which included people who were also involved at the time the Center was founded and added what they recalled. In addition, another short chapter has been included that outlines the Center’s exciting new plans to build a small marine mammal hospital for the care of the endangered Hawaiian Monk Seal on the Big Island of Hawaii. 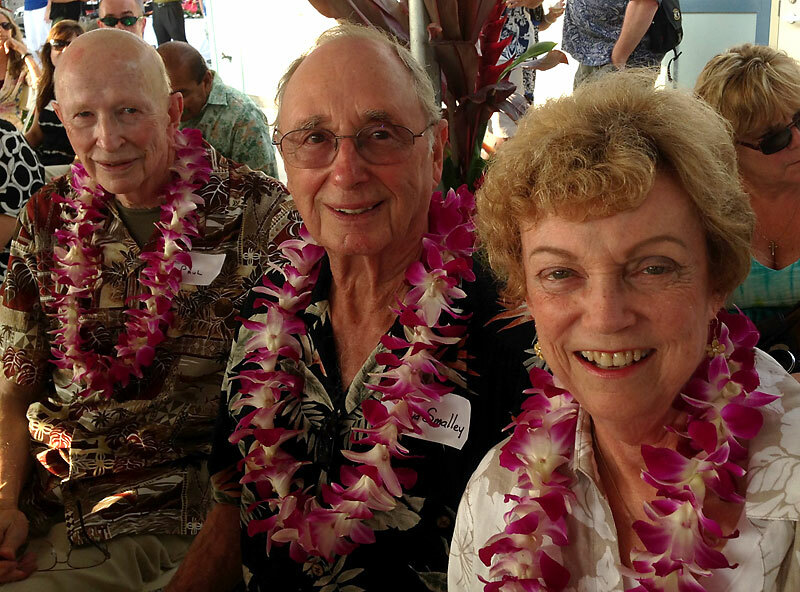 A groundbreaking ceremony for these new facilities, located in Kailua-Kona near the airport, was held September 15, 2012. Photographs comprise images that run from the earliest days of the facilities just emerging from a Nike site, to the current modern marine mammal hospital and headquarters building. At the dedication ceremony for the new facility of The Marine Mammal Center in 2009, I was honored and humbled to be in the presence of its three founders: Lloyd Smalley, Paul Maxwell and Pat Arrigoni. The occasion was made even more special by the enormous pride they so obviously had in witnessing the culmination of the evolution of the dream they’d shared those many years ago, in 1975. We all stand on the shoulders of those who paved the way before us, and I’m proud to salute Lloyd, Paul and Pat for their vision and commitment to marine mammals and for putting in motion the force what has become the modern TMMC. Thanks to them the Center has helped more than 17,000 marine mammals and has inspired hundreds of thousands of people to care. Volunteers founded the Center, and they sustain it. The Center is as much about seals and sea lions as it is about the people who care for them, and the community these people have created. It’s profoundly meaningful for me to be a part of this community and to add my own thread to the fabric that is ever-evolving as the remarkable and impressive mosaic of The Marine Mammal Center. I believe your dreams always run a bit ahead of you. A mission that attracts head and heart is one that becomes a people magnet. It is natural to be drawn to a dream that is passionate, visionary, and inspirational. The Marine Mammal Center’s birth was complex, prompting many to see only insurmountable hurdles, unrealistic goals, and impossible dreams. Yet, three people persevered and traveled difficult roads—private, public, and political—that broke barriers, launching a place of healing unique in its vision and using volunteers as a cornerstone, its driving force. 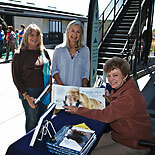 It was a pleasure to read the manuscript of THE MARINE MAMMAL CENTER, HOW IT ALL BEGAN. What an Odyssey! It was fascinating on so many levels. 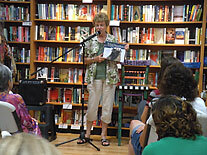 The heart of the tale is about Pat Arrigoni, Paul Maxwell and Lloyd Smalley identifying and realizing a dream. The stories of cooperation, initiative, and sharing the work are impressive, and could well serve as a model for others to follow. The Center, as it now stands, is a monument to their creativity, imaginations and perseverance. What an impressive legacy they have left to their families and community. Each of them, and the thousands who eventually joined them, have helped humankind and the animal world in an extremely important way. Our core work is the rescue and rehabilitation of sick and injured marine mammals, supported by sate-of-the-art animal care and research facilities, a corps of dedicated volunteers, and an engaged community. 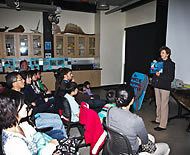 We partner with leading scientists and other professionals in order to learn from the patients in our care–patients from healthy, endangered, and at-risk populations–and to expand and advance scientific knowledge, thus enhancing understanding of the health of our oceans and the implications for human health. 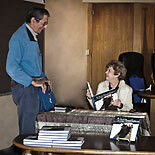 We disseminate knowledge to members of the scientific community and the general public. We ultimately inspire action and foster stewardship towards the care of our environment.